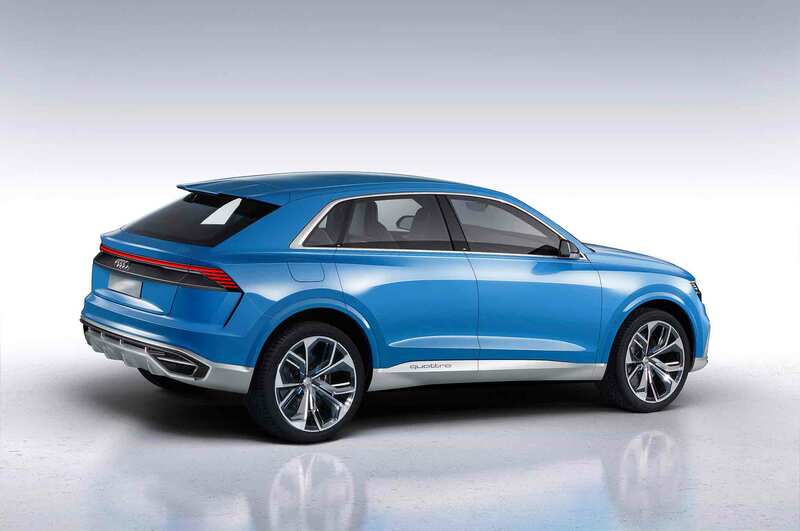 Audi has always been known for its elegant, restrained design philosophy, but it looks like those days might be over. 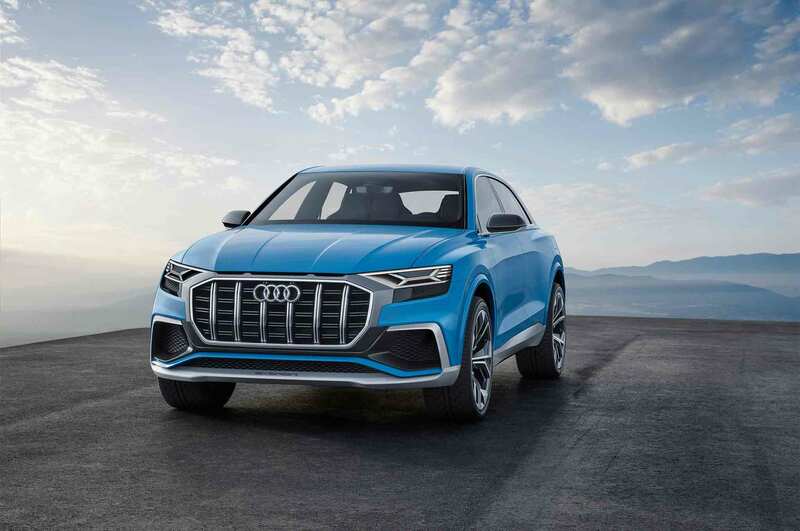 One look at the Audi Q8 e-tron shows that Ingolstadt is wresting itself from the shackles of inoffensiveness in the future. 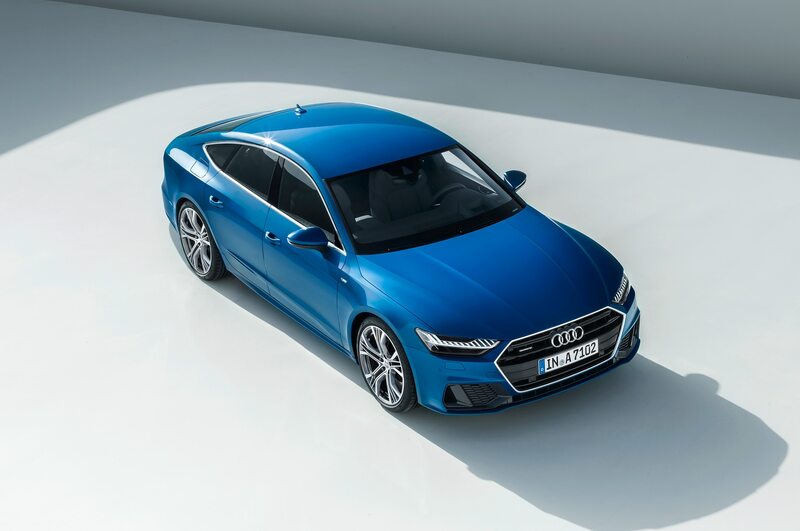 Audi head of exterior design Andreas Mindt peeled back the layers of his team’s Detroit auto show concept car, diving deep into which elements we’ll see in Audi showrooms, and which are pure concept-car fancy. 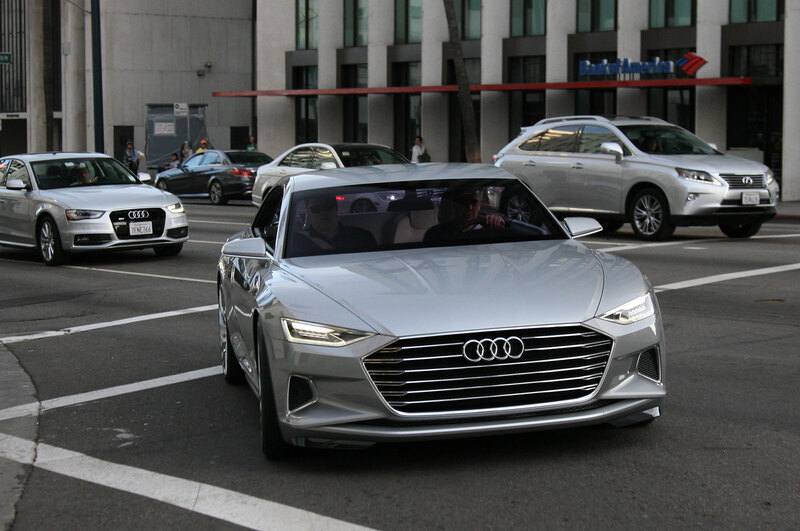 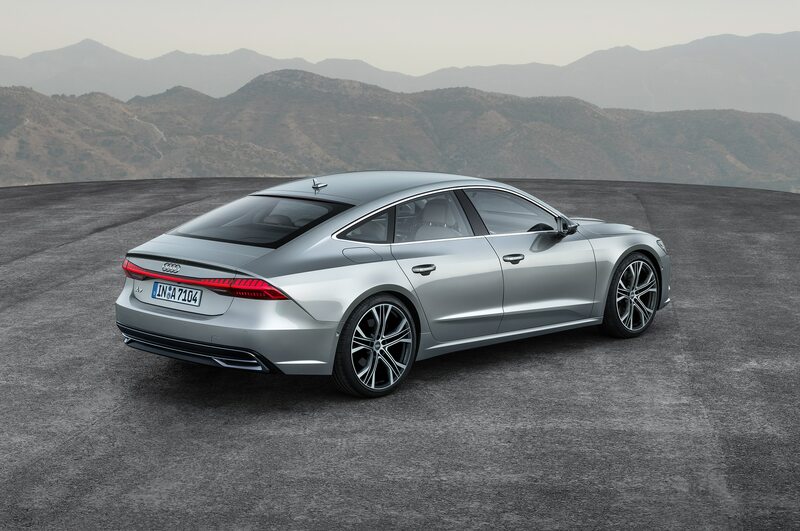 For starters, Mindt has been hearing criticisms about recent Audi design loud and clear. 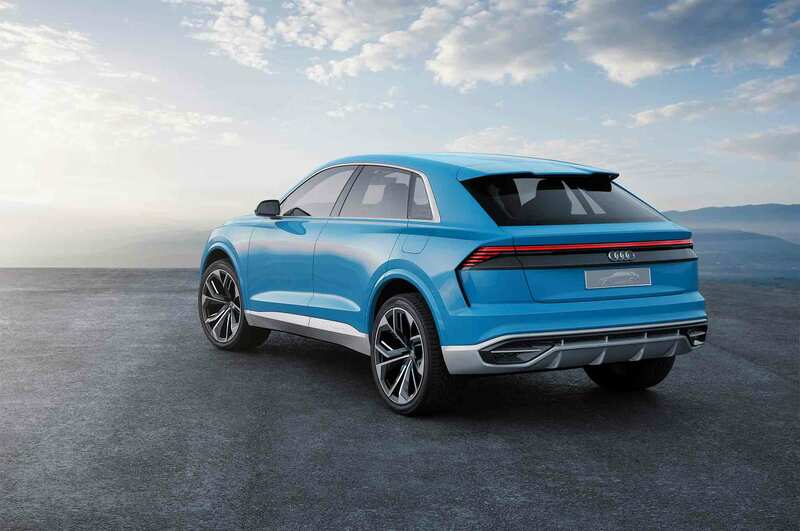 Going forward, we’ll see Audi SUVs adopt the stronger and tougher look seen on the Q8 e-tron concept, tweaked appropriately for the vehicle’s size, segment, and role in the marketplace. 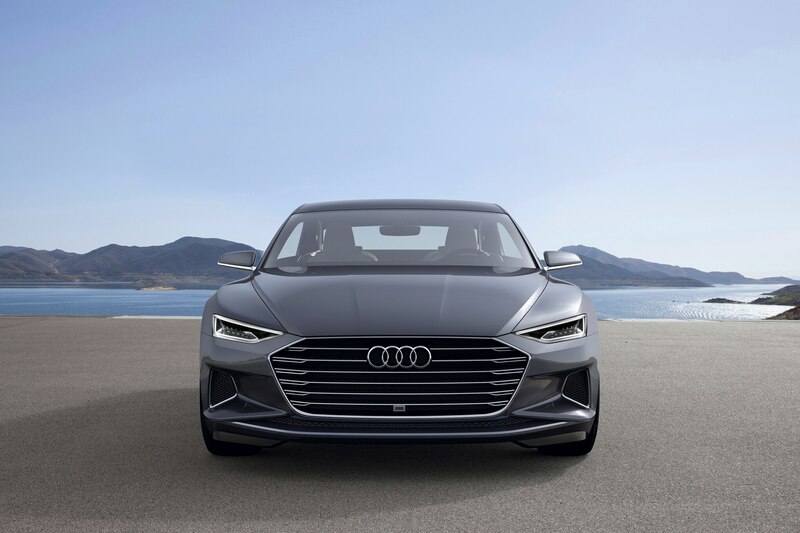 Specifically, the “Singleframe” grille familiar by now in Audi’s lineup will take on this eight-pointed shape for SUVs, while maintaining a softer six-pointed shape for sedans. 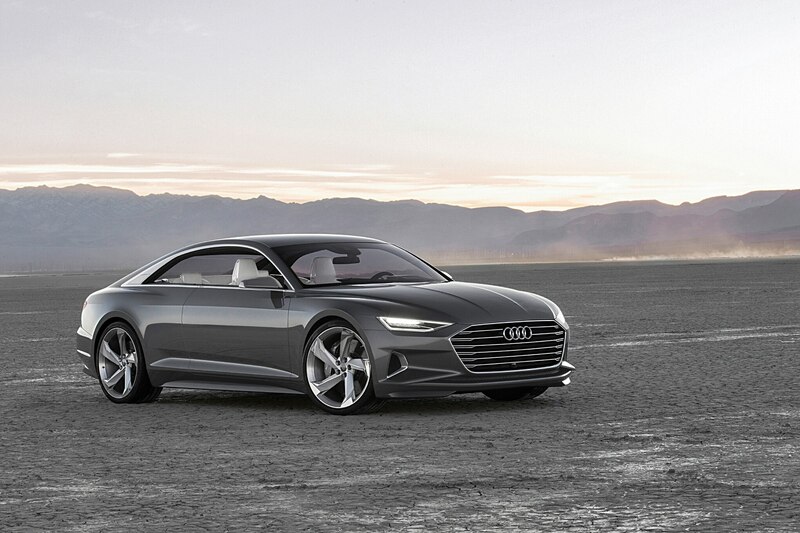 For an idea of what that looks like, think back to the Audi Prologue concept and stay tuned for the next-gen Audi A8. 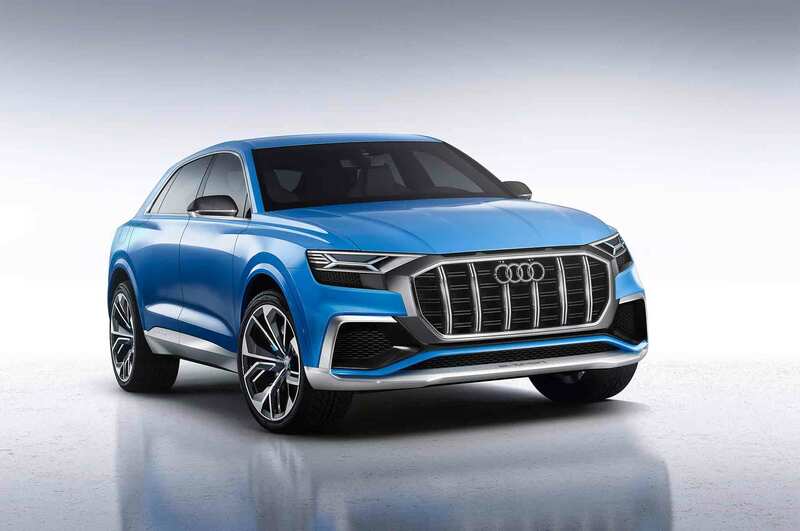 The prominent vertical bars seen on the Q8 e-tron concept will become a focal point of SUV grilles, while sedan grilles will seek to emphasize width, rather than height, with horizontal bars. 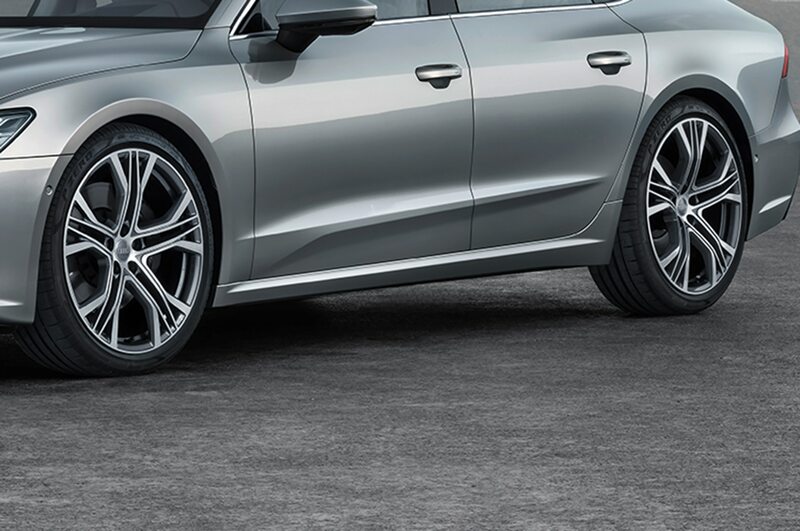 While the concept’s massive 23-inch wheels will be available as an option (albeit with a revised design), don’t expect the touch-release doors in real life any time soon. 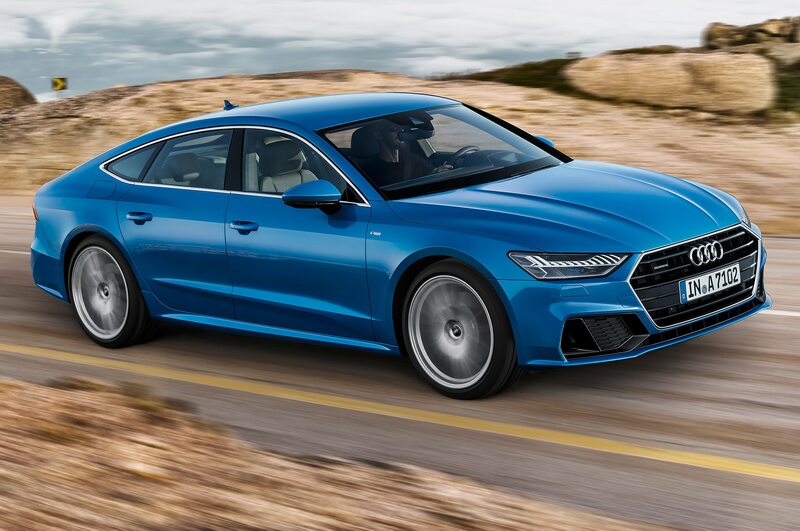 It’s pure show-car fun. 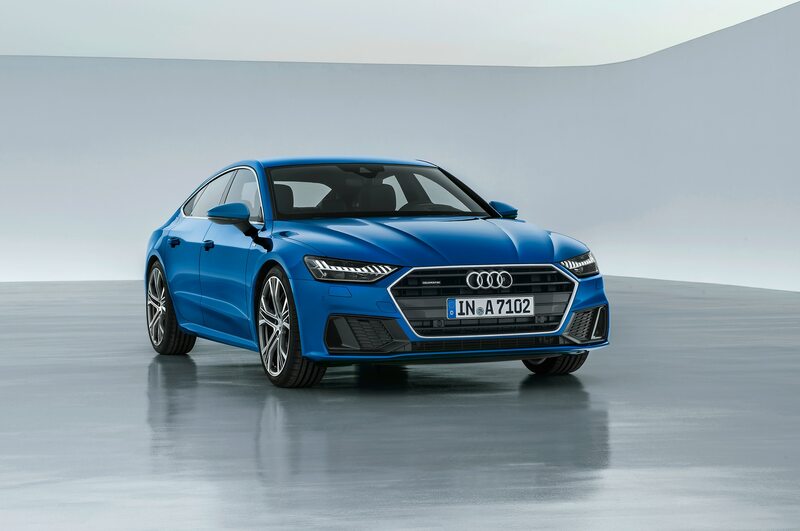 Audi is also keen on making sure its vehicles are identifiable on the road compared to other automakers, and lighting signatures are going to be a key part of that strategy. 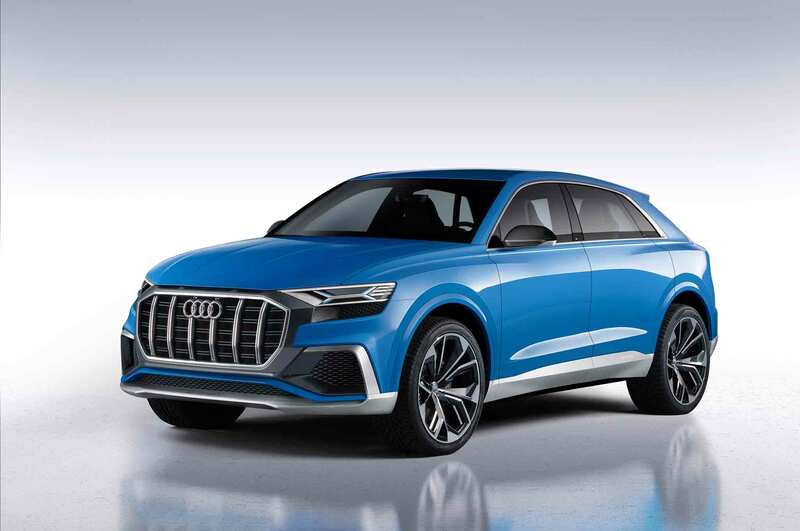 While the Matrix headlights for Europe haven’t yet made it to the U.S. for frustrating regulatory reasons, Audi plans to introduce the Q8 e-tron concept’s laser lights and blue X-shaped lighting signature for most if not all models. 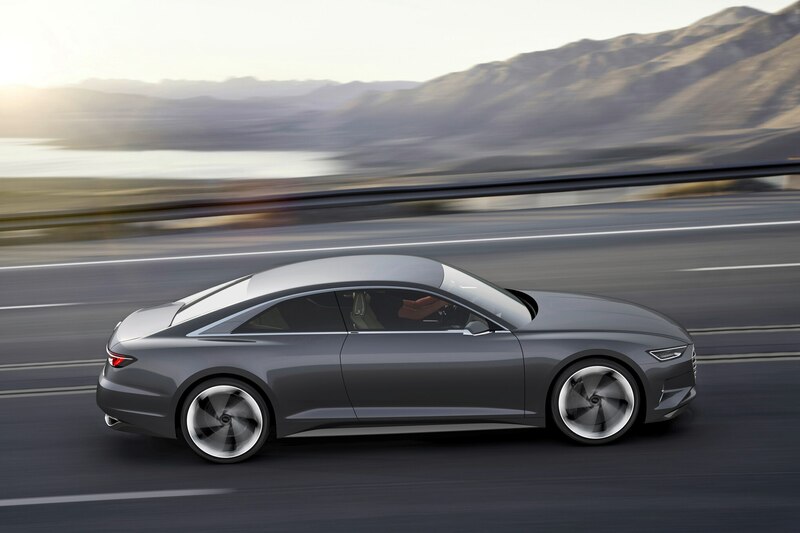 e-tron models receive their own unique three-bar signature, which may also indicate charge status. 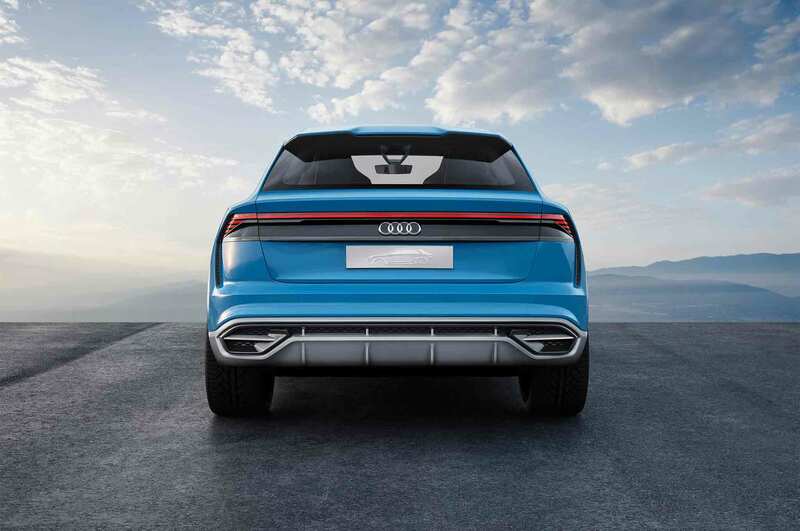 At Q8’s rear, expect to see the concept’s full-width LED taillights — apparently Americans love this styling cue, and the U.S. market was a key reason it’ll go into production. 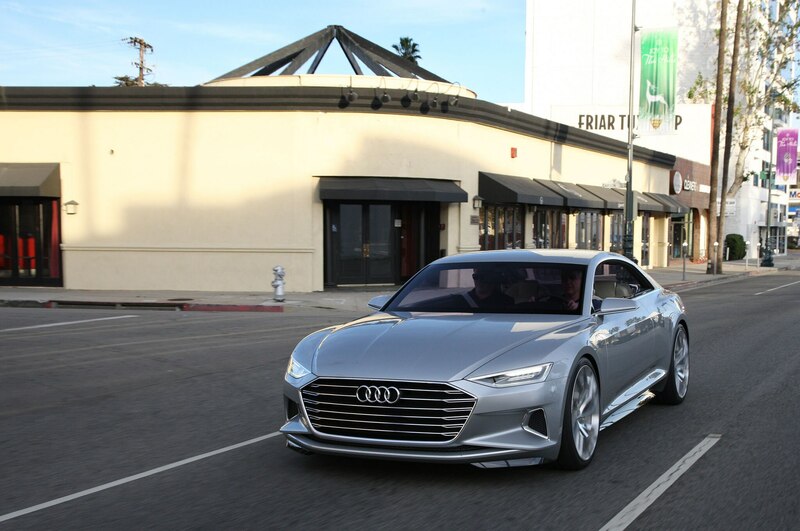 Mindt is eager to point out that as much as Q8 e-tron concept signals evolution in Audi design, it’s also rooted in brand heritage and tradition. 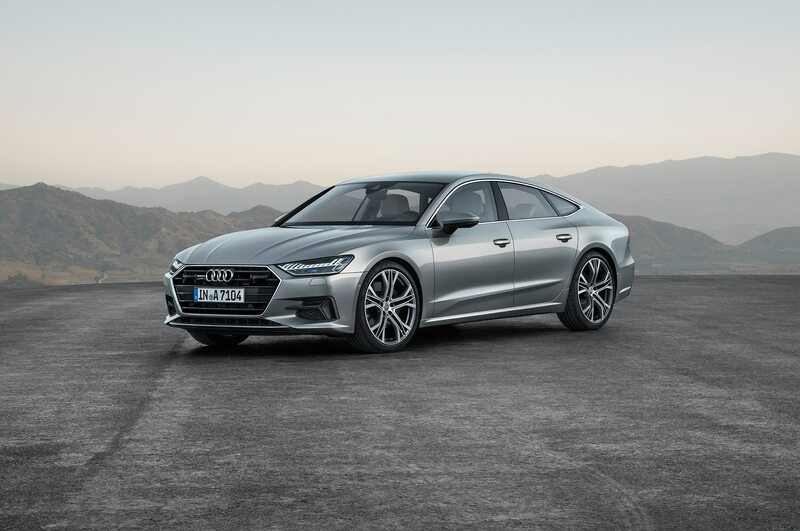 “I love expressing the drivetrain through the exterior design, and the even distribution of the design from front to rear speaks to our all-wheel drive system,” says Mindt. 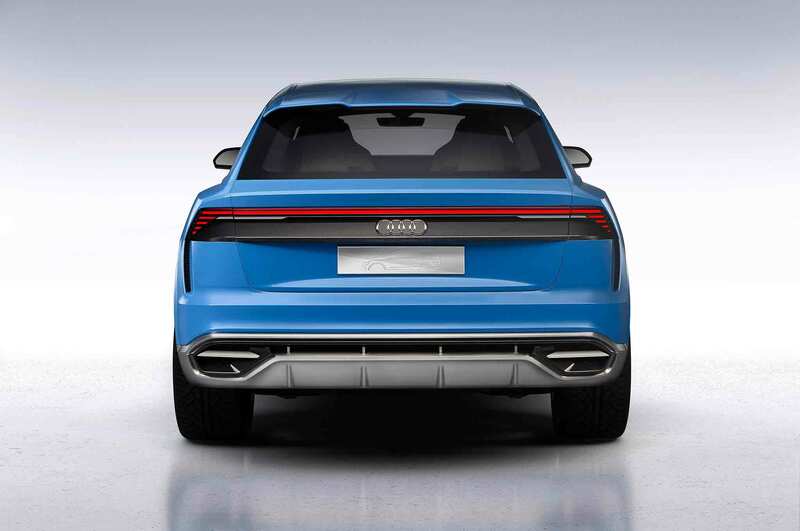 Fans of Audi’s racing history will recognize on the Q8 e-tron concept how the taillight bar terminates on either end with integrated rear vent — a modern interpretation of the 90 quattro IMSA GTO race car design from 1989. 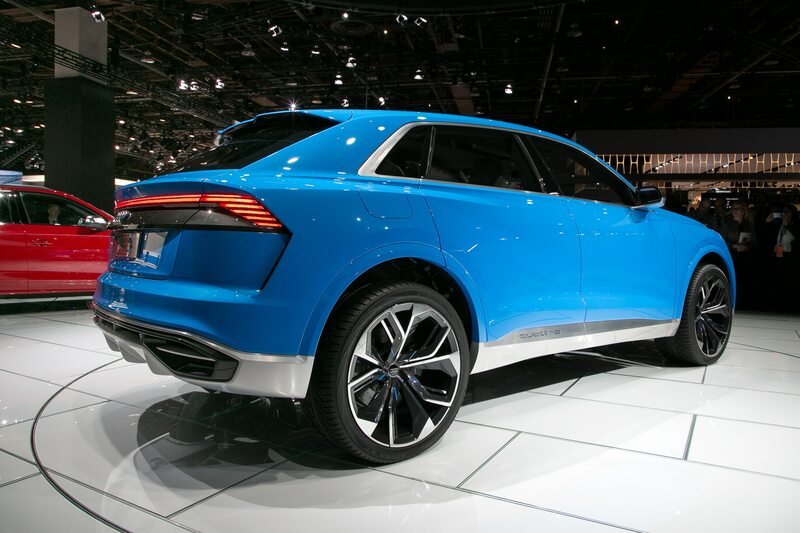 With a wry smile, Mindt says to wait and see how that particular element ends up for the production Q8. 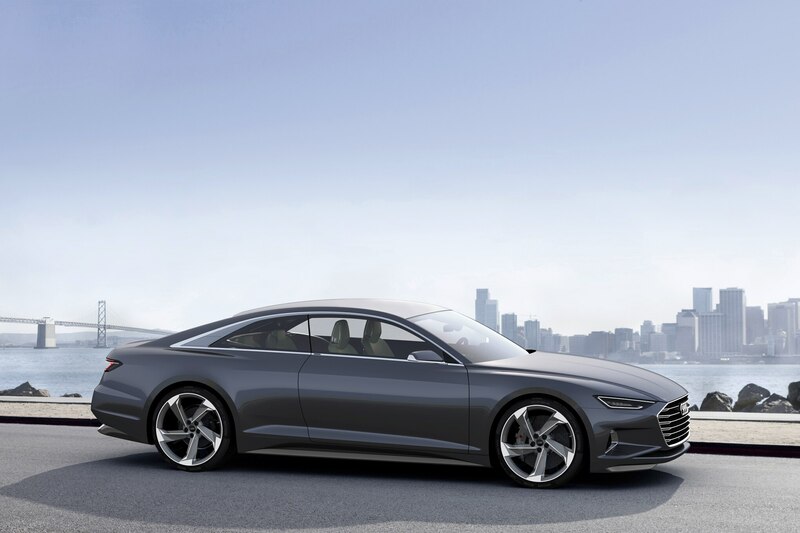 All of these pieces are meant to show that Audi design wants to be more expressive, says Mindt.